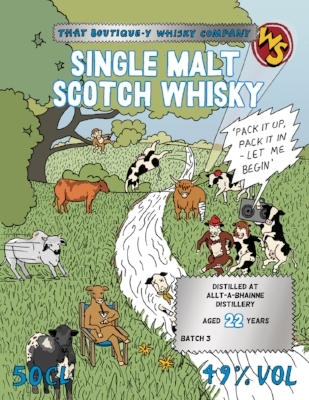 Whisky for dogs is here! That Boutique-y Whisky Company teams up with some of the world’s best distilleries and pet nutritionists to create and independently bottle ‘whisky’ for dogs under the brand That Boutique-y Canine Company! Sharing whisky is one of life’s true pleasures. Up until now, only humans have been able to bond over a dram, cementing friendship over a love of the water of life. Now, for the first time ever, dog lovers can share their favourite dram with their four-legged friends, thanks to clever developments in pet nutrition and our vision to spread whisky love to everyone whether they have two legs or four! Introducing That Boutique-y Canine Company! How does it work? Whisky is bad for dogs! We agree. By working closely with nutritionists from Dynamite Dog Dietics, we have found a way to molecularly bond flavour compounds commonly found in whisky to proteins in organic chicken, venison and rabbit (meats identified as providing the most nourishment to dogs). Through cooking this meat at a high temperature, the modified juice can be extracted, resulting in a liquid that looks like whisky with similar aromas, but is totally free from alcohol, and offers the highest nutritional values. Not only can you share a dram with your beloved best friend, but the perfect balance of water, protein and the vitamins and minerals from the flavour compounds can help promote a shiny, glossy coat (for your dog, you should probably stick to our regular whisky). Invergordoggie: The lightest of our Canine Whiskies, mainly extracted from organic chicken. Perfect for your dog while you indulge in the outstanding Invergordon 42 Year Old. Just 300 bottles are available in the first batch. Aberfetchy: A sweet, juicy Canine Whisky, mimicking the fruits inherent in classic Aberfeldy, thanks to the whisky’s long fermentation time. For your dog’s human companion, pair with our Aberfeldy 21 Year Old. Our largest outturn, there are 600 bottles available. Clyneleash: Extracted from meats cooked for longer to preserve the waxy character that Clynelish expressions are known for. Pour this for your pooch while you sit back with our Clynelish 24 Year Old bottling. 350 bottles have been made available. Highland Bark: Not forgetting the smoky island malts, we worked with Dynamite Dog Dietics to keep the phenol count high even after the flavour compounds were molecularly bonded with the meats. This was our most challenging Canine Whisky to create, and we’ve proudly paired it with our Highland Park expression, with. 450 bottles available. Beagle Rare: Take your pooch beyond Scotland without the need for a pet passport with the incredibly soft, inherently sippable Beagle Rare. A treat for dogs everywhere, and far more readily available than its American whiskey counterpart! Himilayamazaki: The rarest of our Canine Whisky expressions, Himilayamazaki is made with mountain water from Japan to boost the mineral content for your dog. Because of the limited supply of this water, just 50 bottles are available. Humans can sip Japanese Blended Whisky #1 alongside their hounds to max out the enjoyment! While That Boutique-y Canine Company bottlings are only suitable for dogs, we plan to roll out whiskies for other pets in due course, including as That Boutique-y Whiskers Company, That Boutique-y Rodent Company and even That Boutique-y Equine Company for whisky-loving equestrians. Watch this space! Each bottle of TBWC For Dogs is available in 500ml formats to complement our human TBWC bottlings. Prices start from £19.99, available from all good pet stores soon! A Big Ol' Bundle of Brand New Batches! We've got a whole load of new whiskies to show off - including a handful of first batches! If you're a regular visitor to our humble blog, you'll probably be used to a bit of a pre-amble when it comes to our posts. Well, we're going to cut the pre-amble short today, because there's a lot of brand new bottlings to get through in just one blog post! Let's start with the collection of first batches we have to show off. Firstly, we've got our first bottling of Tamdhu single malt! This terrific Tamdhu was aged for 28 years before we bottled it up at 46.8% ABV. Only 270 of these beauties were produced, and they're an absolute knock-out! Next up, we've got our first bottling from Glen Ord! A 20 year old expression, boasting honey and vanilla by the bucket-load. This was bottled at 51.9%, and 293 bottles were produced. Shout-outs to the Porteus Mill. Fine bit of equipment, that. Say hello (or "Ahoy-hoy! 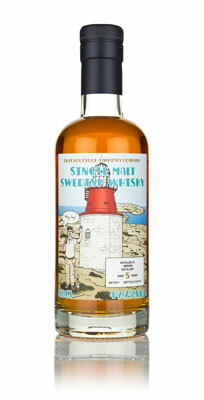 ", rather) our very first bottling of Smögen whisky! 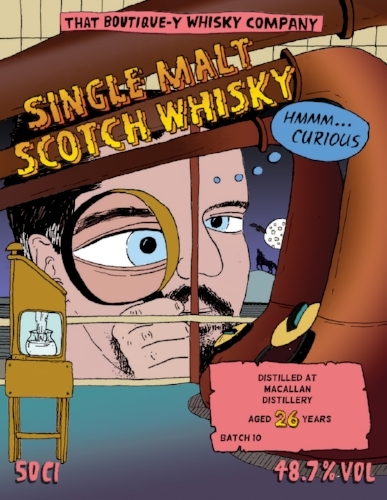 This well-sherried single malt is 5 years old, and has been bottled at 49.7% ABV with a tiny outturn of just 117 bottles. Grab one before they're all gone! Let's head back to Scotland for our next one - the first That Boutique-y Whisky Company bottling of Tomatin! This 21 year old expression from the distillery in the Highlands was bottled at 47.4% ABV, and with an outturn of 304 bottles. We've also managed to get our hands on an incredible Inchgower to bottle up for you fine people! 285 bottles of this excellent 26 year old Speysider were made, bottled at 48,7% ABV. Our final first batch is very exciting indeed - it's a Glenlivet! Oh yes, we've independently bottled an absolutely smashing 27 year old Glenlivet single malt, presented at 48.7% ABV. Just 111 bottles were produced. It's not all firsts today - we've also got some fantastic follow-up batches of some of our favourites, including our fourth batch of Clynelish! This fascinating 24 year old single malt was bottled at 49.7% ABV, with an outturn of 267 bottles. It's been a little while since our first bottling of Aberfeldy hit the shelves, so we figured it was about time we did an other - and it is golden! It's 21 years old, and 261 bottles were produced at 48.9% ABV. Let's change it up a little bit and unveil a new single grain, eh? 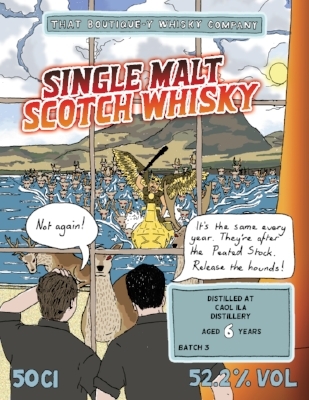 It's our fifth batch of single grain Scotch whisky from the North British distillery! It was matured for 26 years before we bottled it up with an outturn of only 144 bottles at 50.4% ABV. Last but by no means least, we have our second batch of our Irish Single Malt #2! We're still keeping tight-lipped about where this one came from, but rest assured, this 12 year old Irish whiskey is wonderful never-the-less. 429 bottles were produced, presented at 48.6% ABV. So Islay, Such Single Malt, Wow! It's our largest batch to date! An astonishing 3,124 bottles of 25 Year Old SIngle Malt from an undisclosed Islay distillery. If you're well versed in Islay whisky distillery lore, you'll know there are currently eight operational malt whisky distilleries in Islay, and all but one of them could be the origin of Islay Distillery #2. That's the biggest clue we can give you about this fruity single malt. The nose yields oranges and pink grapefruits, masked by waves of earthy peat smoke. While the finish is oily, with notes of salty liquorice, and a sweet smoke that lingers for what seems like an eternity! We sneaked a few pre-release bottles out to The Malt Maniacs Awards and are rather pleased to announce that this was awarded the Best Ultra Premium Peated Whisky, so there's something else we can tell you about this release - it's jolly good! TBWC ambassador Dave Worthington scoops Icons of Whisky gong! That Boutique-y Whisky Company brand ambassador and all-round good guy Dave Worthington has claimed a top gong at Whisky Magazine’s highly-regarded Icons of Whisky competition! Whisky Magazine runs an annual competition to award its Icons of Whisky, celebrating the fabulous faces behind the drams of this excellent spirit, and our Dave has been recognised as Rest of the World Whisky Brand Ambassador of the Year. For those of you who already know and love our brilliant bearded champion, this news will come as little surprise. Dave is a well-known (and incredibly knowledgeable) face on the whisky scene, and has been sharing his passion for the sweet stuff since launching the Whisky Discovery blog back in 2011. 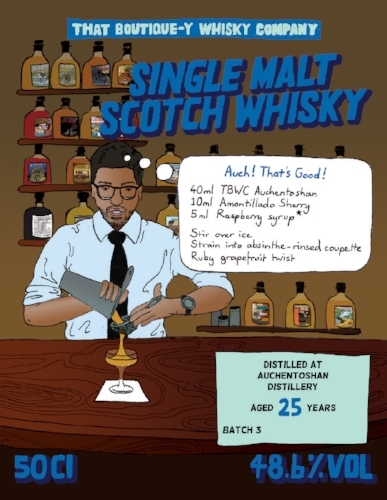 He joined That Boutique-y Whisky Company in January last year, and has been super busy travelling to spirits shows across the globe, leading masterclasses and tastings, and chatting about drams with thousands of whisky fans both on- and offline. He’s the kindest, friendliest person we know, and we’re immensely honoured to have him on the team. Please raise a dram to Dave’s success and toast an accolade that’s truly deserved! It almost sounds like an Enid Blyton title doesn't it? Ms Blyton wrote a series of Famous Five and Secret Seven books from the 1940's, perhaps Ms Blyton favoured odd numbers. There's nothing odd about today's blog post as we announce a Sensational Six new releases that includes a brace (not odd either) of new labels to boot! The first of our two new labels heralds our first ever batch from the Tamnavulin distillery, and what a way to start! A 25 Year Old bottled at 47.5% abv. 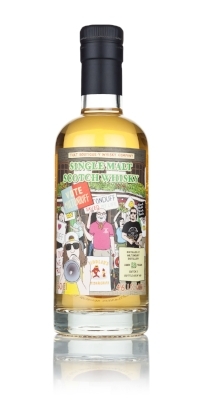 There are just 68 bottles of this fragrant, fruity single malt. It's tasty too, again coming across as fruity with ripe melon and persimmons while peppery spices add interest. Our second sparkly new label is for our first batch from the Dalmore distillery, and it's another long aged release. There are just 32 bottles of our 27 Year Old! 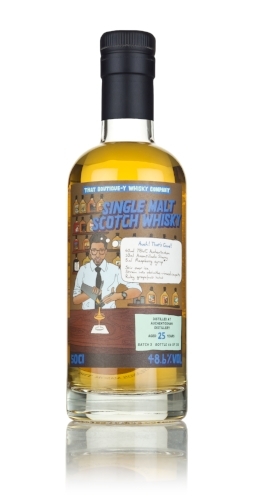 Bottled at 47.5% abv this single malt opens with a Fry’s Turkish Delight sweetness followed by waves of pepper, while chocolatey orange notes develop later...mmmm lush! It's been a long time since our last batch from Auchentoshan was released, March 2013 to be precise. So, it's with much excitement we announce our third batch from the only Scottish distillery to currently triple distil every drop of spirit. Our latest release is a 25 Year Old, a batch of just 135 bottles. This complex single malt has many layers to entertain before leaving a mint chocolate note that seems to go on forever. 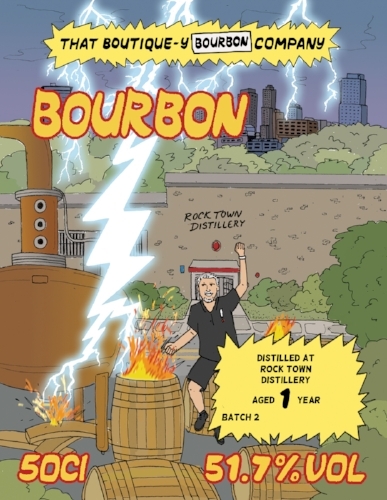 All the way from Arkansas we have a second batch of Bourbon from the Rock Town distillery. It's just one year old but just look at that gorgeous depth of colour. 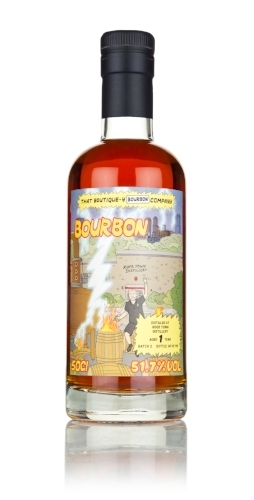 This Bourbon has a cherry theme running through the tasting notes, starting baked on the nose, liquor on the palate, and lasts long into the palate There are just 190 bottles. Our second batch from the Glenallachie distillery has been bottled as an 8 Year Old. We've filled 231 bottles at 53.9% abv and you can expect to find crisp orchard fruits, ginger biscuits and sherbet lemons. on the nose, while the palate brings maltier notes, cigar box, leather ginger and a pinch of nutmeg. Lastly, there's a good helping of peat from our fourth batch of Port Charlotte Bottled at 13 Years Old, there are just 182 bottles of this meaty, peaty and coastal Islay malt. We found Frazzles on the nose, along with forest floor pine needles, dry slate, a salty sea breeze and an oily smoke. 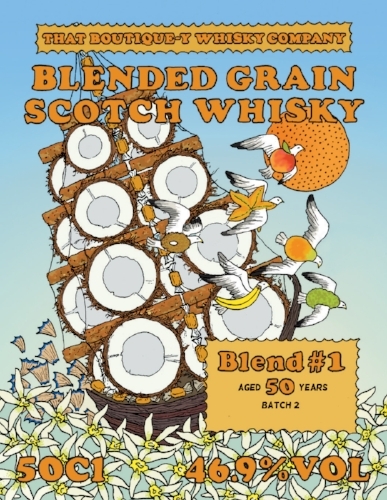 With January safely in the bag, it's definitely time to announce three new batches of whisky, and it's a one, two and three with a brand new label for our first ever Blended Malt #4, a second batch from The English Whisky Company and a third batch from Tormore. 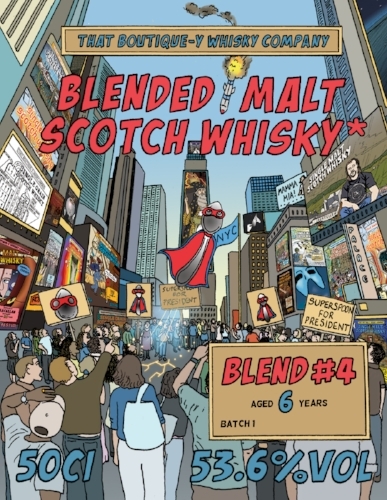 Another brilliant new label from Emily for our first batch of Blended Malt #4. Following on from our Blended Malts #1 and #3 the label features our terrific teaspoon in the guise of Superspoon! That's right, it's a secret teaspooned malt, a young and feisty 6 Year Old bottled at 53.6% abv. 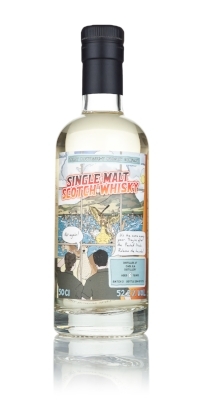 There are just 625 bottles for this batch, but can you tell which distillery from this label? No, not at all, because there's not even the slightest of clues hidden here, or is there? We shalln't tell! Expect to find cream soda, dessert wine grapes and some bramley apple tartness on the palate. There's a hot peppery kick but it quickly sweetens with vanilla buttercream. Next up is our second batch from The English Whisky Company. The Norfolk distillery turned eleven at the end of December, and it has been growing in stature year by year, leading the charge of whisky distilleries in England's green and pleasant land. Our latest batch is an 8 Year Old release of just 845 bottles, and you can expect a fruity smoke bomb from this bottling! After the initial hit of sooty smoke there are sweet white grapes with lemon zest, but they’re quickly engulfed in a sweet peaty smoke while hints of butterscotch mints follow. It's been sometime since our last batch from Speyside's Tormore distillery, almost 3 years to be precise, but we're sure our third batch, a 21 Year Old release, will be well worth the wait. Just 149 bottles of this elegant single malt. With notes of baked apples, meadow grasses and vanilla creams on the nose, the palate is fresh and zesty. Glorious Tormorious! We've three tantalizing treats to tell you about today, so listen up and pay attention! New Zealand! Islay! Speyside! 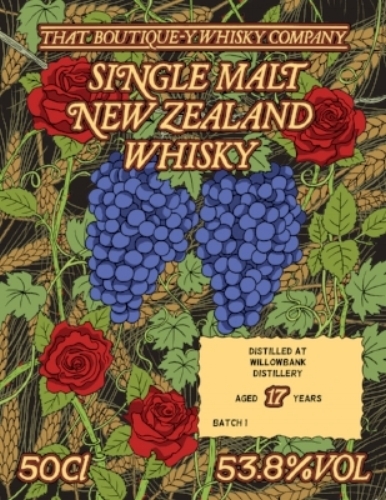 Dunedin's Willowbank Distillery was founded in 1974. It was the most southerly distillery in the world and in its heyday produced the highly regarded brands of Milford and Lammerlaw. Sadly the distillery closed in 1997, so we're incredibly excited about our first new label of 2018. Our 17 Year Old is a release of just 307 bottles. It's a rich fruity malt with a backdrop of blackberry, blackcurrants and blueberry muffin. 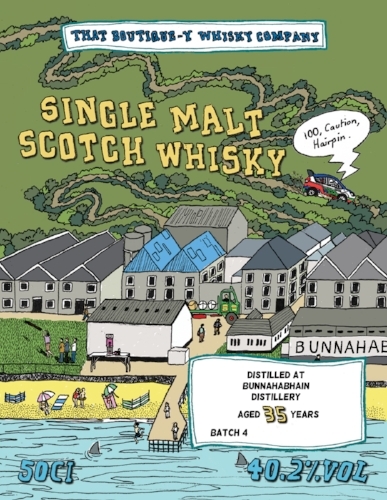 Our fourth batch from Islay's Bunnahabhain distillery is a 35 Year Old, and our oldest release to date. If you were lucky enough to have one of our Advent Calendars you would have found a sample of this hiding behind door number 14. A release of just 302 bottles this long aged malt is delicate and sophisticated with aromas of tobacco and chamois leather interplaying with a medley of fruit. Lastly, and a little later than expected, is our tenth batch from Macallan. Yes, we know we released batch 12 at the end of last year, but hey, haven't you ever slept in and was late for work? Well this is exactly what happened to this batch, but like all good children, it came in with a note from its Mum. A release of just 233 bottles, this 26 Year Old Speysider was another of our Advent Calendar drams hiding behind door number 23, and has a fresh, mally, fruity style. Glenlossie is a beautiful distillery in Speyside, with a splendid pagoda* roof to the old kiln, and stunning onion-shaped stills. It was founded in the latter half of the 1800s, and since the early 1900s, it has been closely associated with Haig’s blended whisky, so it is rarely seen as a single malt. 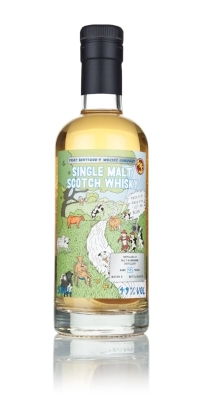 The only official bottling is a 10 Year Old, from Diageo’s flora and fauna range, first released in 1990, although there was a ‘Manager’s Choice’ single cask from 1999 was released in 2010. But what else do you know about this distillery? *although often referred to a pagoda roof, it’s technically it’s not a pagoda, the correct term is cupola. Go on, Google it and look at the pictures! A former manager of the Glendronach distillery, John Duff, along with a few of his friends, founded the Glenlossie distillery in 1876. The distillery was designed to be independent of steam power, utilising the local water source to fill a reservoir above the distillery which was used to drive a large water-wheel. The distillery takes its name form the valley of the river Lossie, and is situated less than a mile away from the river, and just south of Elgin. There are seven other distilleries situated within a 2.5 mile radius from the Glenlossie distillery: BenRiach, Glen Elgin, Glen Moray, Linkwood, Longmorn, Mannochmore, and Miltonduff. In 1896 John Duff broke from the original partnership, and one of the partners, along with his nephew, formed the Glenlossie-Glenlivet Distillery Company Limited. They embarked on a programme of expansion and improvements which included building a railway siding for the plant. Extensions or improvements to the distillery were made in almost every year up until the start of the First World War when distillery was closed by Government order to conserve barley. It remained silent until it was taken over by The Distillers Company Limited in 1919. Water power was used to run the distillery right up until the First World War. When production restarted in 1919, it was converted to steam power. The distillery was extensively damaged in a fire in 1929, but was quickly rebuilt and production resumed. However, the fire marked the end of the Glenlossie-Glenlivet distillery company, and the distillery became part of the Scottish Malt Distillers, a subsidiary of DCL. Production stopped again in 1939 with the world at war, but production re-commenced shortly afterwards, and further expansion and refurbishment took place throughout the 1950’s, eventually converting the plant from steam power to electricity in 1960. The four hand-fired stills were converted to a mechanical stoker system too. In 1962, DCL’s subsidiary Haig (The UK’s leading blended Scotch at the time, and the blend that accounted for almost all of Glenlossie’s malt) took over the distillery, and a third pair of stills were added to meet the demand. In 1972 the stills were converted from coal-heating to steam heating from an oil fired boiler. Today, there are three pairs of stills in the still room. The spirit stills are fitted with purifier pipes between the lyne arms and condensers. These increase reflux, carrying any heavier alcohols which have refluxed out in the lyne arm back into the body of the still to be redistilled. This setup gives the new make spirit a light and grassy character. Glenlossie was has long been favoured among the blenders, and in 1974 was named one of the twelve ‘top class’ malts. It’s for this reason it’s not often seen as a single malt, and is a major contributor to Diageo’s blended scotch whiskies. The fire engine used to fight the fire in 1929, built by Shand Mason & Co an 1862 is displayed at the Dallas Dhu Distillery museum. It was designed to be pulled by a pair of horses, the engine was driven by steam and could raise steam in about five minutes. The site now houses two seperate distilleries. Mannochmore was built alongside the Glenlossie distillery in 1971. When the Mannochmore distillery started production, the staff were shared between both distilleries, switching back and forth every six months or so. In 2007 this practice ceased, and since then both distilleries have been working full time. A Dark Grains plant was built in 1969, and this doubled in size when Mannochmore was built. This plant turns the solid matter left over from the mashing and distillation processes into a high protein animal feed. Further Investment more recently has seen the installation of a bioenergy plant that utilises around 30,000 tonnes of draff per year producing 3.4MW of thermal energy that power the two distilleries and the dark grains plant. We’re well known for our love of similes and metaphors (and plenty of other nonsense too!) 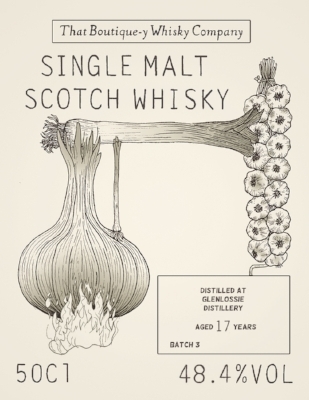 so our label plays on Glenlossie’s well-known onion-shaped stills. The still on our label is actually made of an onion, and in keeping with our onion theme, we have a spring onion lyne arm and garlic-bulb condenser....of course! If you look closely, you’ll see a leek pretending to be the purifier. We launched our first batch from Glenlossie back in January 2016, a release of just 118 bottles with no age statement. It became our 65th Boutique-y Whisky label, and was awarded a Bronze medal at the Independent Bottlers Challenge in 2016. The second batch came out in September 2016, a 25 Year Old, bottled at 51.1% abv and a rather meagre batch of just 43 bottles! Palate: Coconut creams, malty, grassy, and a peppery spice builds. Finish: Malty, grassy, hints of anise, while the peppery spices linger. This splendid Speyside single malt is available from fine retailers now. Off-trade/on-trade enquiries should be directed to our UK distributor, Maverick Drinks. When That Boutique-y Whisky Company released its independently bottled 24 year old Cameronbridge single grain Scotch whisky, there was only one man who was deemed fit to grace its label: Dr. Patrick Barrie, the British titan of tiddlywinks. He recently checked in to update us on his fabulous successes this year, and to thank us for sending him the TBWC Advent calendar. “It was a very pleasant surprise. There was an informal gathering of a dozen top tiddlywinks players in Nottingham last weekend, and I let them take ‘pot-luck’ at choosing a whisky from it.” Ever the gentleman, Dr. Barrie and his tiddlywinks compadres clearly have impeccable taste. A senior lecturer in the Department of Chemical Engineering and Biotechnology at Cambridge University, Dr. Barrie played his first game of Tiddlywinks at Cambridge as an undergraduate in 1984. If you told him at that time he would complete his PhD in Physical Chemistry from Cambridge in 1991, he’d probably be delighted and quite rightly proud of himself. If you had told him instead that he would end 2017 as the top rated tiddlywinks player in the world, he would probably have been rendered speechless, because... well... who wouldn’t? Yet, our good friend Dr. Barrie did in fact achieve this remarkable goal, in the same year that he became the eight-time Tiddlywinks World Singles Champion. With typical modesty, he kindly acknowledges the undoubted influence That Boutique-y Whisky Company had on his form, and also gives a nod to his main American rival, Larry Kahn. For those unaware of the sport, it shouldn’t be understated what an achievement this is. Tiddlywinks may have a playful name, but it’s all about manual dexterity, strategy and tactics, as Dr. Barrie will attest to. A tournament situation means seven hours of hard concentration and skill, and to get that far takes years of practice. Even our current world champion claims it “took me four years of hard playing before I threatened to win anything, and it was seven years before I actually did”. What awaits in 2018 for Dr. Barrie, a man who makes bottle-fronting, advanced chemistry and world-class winking look easy? He told us he’s going to have to practice more so he has a shot at “retaining top spot for as long as I can”, and hopes to peak in late April, when he will need to defend both the World Singles title and the National Singles title. With typical self-effacement, Dr. Barrie ended his communication with, “It would be nice to keep at least one of these for another year.” The good doctor is already a hero to us here, and with the combination of his accomplishments and That Boutique-y Whisky Company’s support, hopefully more and more people will see him succeed. While many of you may be slowing down for Christmas, we're still flat out like lizards drinking (have you seen a lizard drinking? They're flat out!) We've got FIVE new releases to shout about today! You can count them all on one hand; four from Speyside and one from Islay. 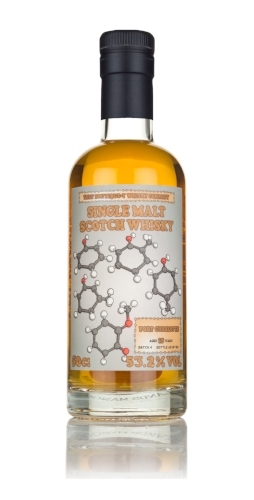 First up, a new release from Auchroisk, our second batch is a 20 Year Old. Expect no zombie apocalypse from this one though. It has a softly floral nose with hints of raspberry and icing sugar sweetness. The palate is lightly sweetened, with custard creams, giving way to the tartness of cooking apples and clove spices. Just 162 bottles at 47.9% abv have been filled. Now if you came to see us at The Whisky Show in October, you may well have discovered the next three as we bottled a few cases especially for you because you are very special. Oh yes you are! 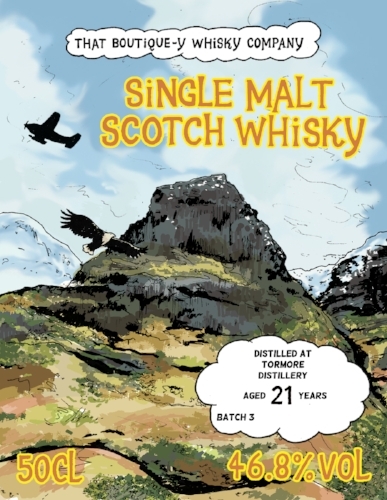 Our third batch from Allt-a-Bhainne is a 22 Year Old. There are just 175 bottles of this release, bottled at 49% abv and you can expect a grassy malt, with heather honey, and citrus notes: orange juice, and lemon curd perhaps. Another third batch, but this time from the Glenlossie distillery. 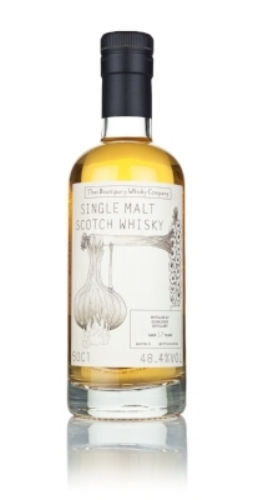 This 17 year old Speysider has a nose giving cake mix with hints of desiccated coconut. while floral notes and dry grasses follow. There are just 206 bottles of this release to go round, it's bottled at 48.4% abv. Our third batch from Miltonduff is rather special. 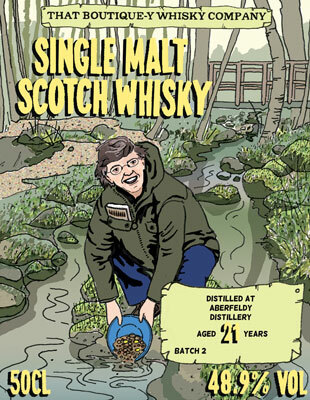 There are just 149 bottles of this 28 Year Old gentle Speyside Single Malt. It's both floral and fruity. It reminds us of summer hedgerows. Its soft sweetness is balanced by spicy chili. Our final announcement and last third batch of today hails from Islay. Release the peat! It's a 6 Year Old Caol Ila. It's oily with a Juicyfurit chewing gum sweetness. There are 372 bottles at 52.2% abv in this release. Our Port Ellen 33 Year Old Named Scotch Whisky Taste Master! Our sixth batch of Port Ellen single malt won an enviable award from The Spirits Masters on Friday - Scotch Whisky Taste Master! Our bottling of 33 year old single malt from the legendary Port Ellen distillery was named Scotch Whisky Taste Master! There is only one Taste Master awarded per competition to the spirit deemed best in its class, and our Port Ellen 33 Year Old was up against stiff competition, with over 200 entrants in the running for this coveted title. To say we're chuffed to bits would be an understatement! A very excited Adam and Dave with a very award-winning whisky. Since we're talking about it, we reckon that it's probably worth revisiting the this glorious whisky's tasting note. You know. For scientific purposes only. Nose: Smoky toffee, salty BBQ’d lemons and a damp earthy forest floor. Palate: Rich, sweet, and smoky, Wrigley’s Juicy Fruit chewing gum, spicy citrus notes and a deep, earthy smoke. Finish: Salty liquorice, a citrus tang and earthy peat that lingers for an eternity. And that's not all! The 15th batch of our bottling of Invergordon single grain Scotch whisky also picked up a Master Medal at The Design & Packaging Masters! A bounty of brilliant awards!